As the weather slowly begins to warm up and the days are filled with more bright and happy sunlight, my cravings begin to gravitate towards the colorful, crisp, and fresh. 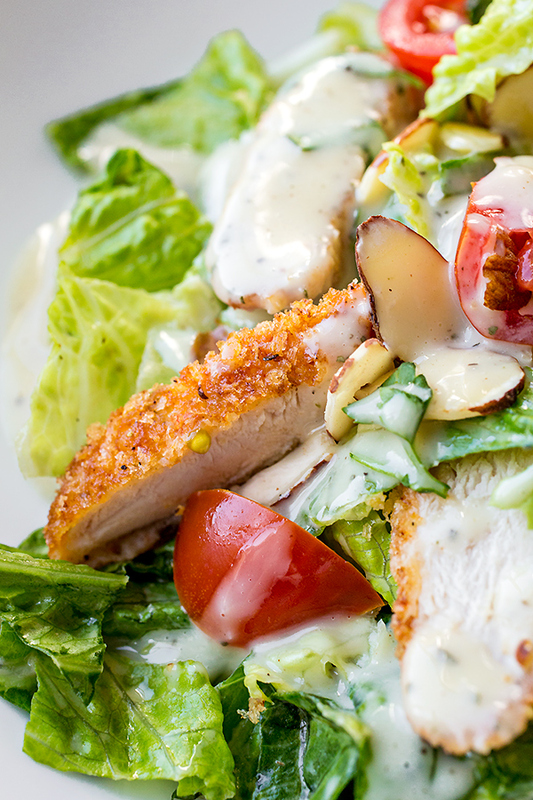 And often, it’s a lovely salad that fits that bill, scrumptiously. I’ve always been a real sucker for a good salad; I mean, I truly love them all, including even the slightly dainty, micro-green-y, leafy ones with just a sprig of this over here, and a sprig of that over there. Hey, I’m even happy to take just a wedge of lemon and a little olive oil with some salt and pepper on the side! 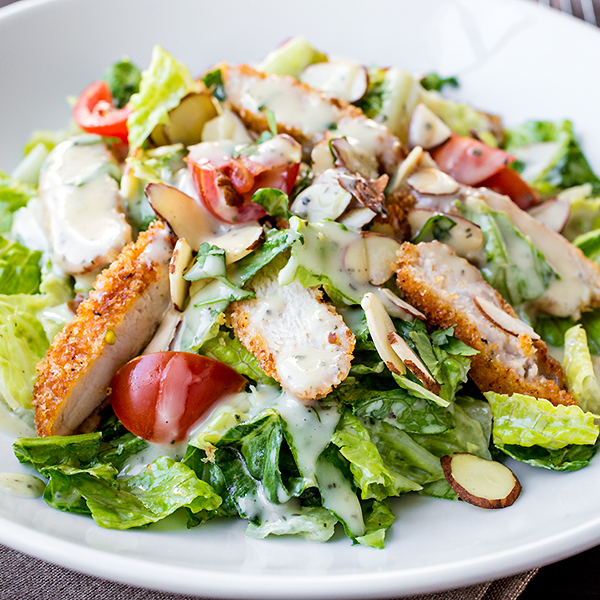 But I also love being able to make a munch-able meal out of a deliciously hearty chopped-style of salad, one complete with a nice, crispy and golden chicken breast, some fresh, crunchy greens, some toasted nuts, and a gloriously glossy and bold vinaigrette, one with a hint of both sweet and savory to it. And this vibrant, summer-ready, totally bold and zesty Crispy Honey Mustard Chicken Chopped Salad is exactly what I’m all about when having a salad just sounds good. 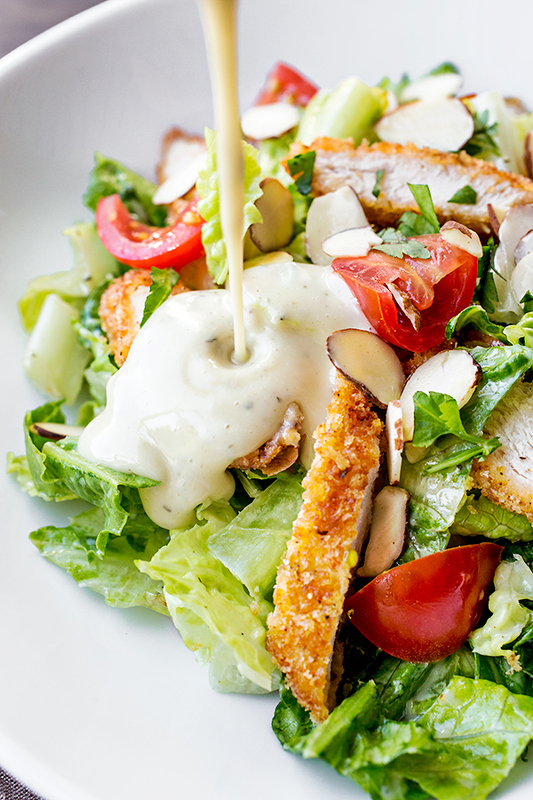 It’s the kind of salad that you actually crave. 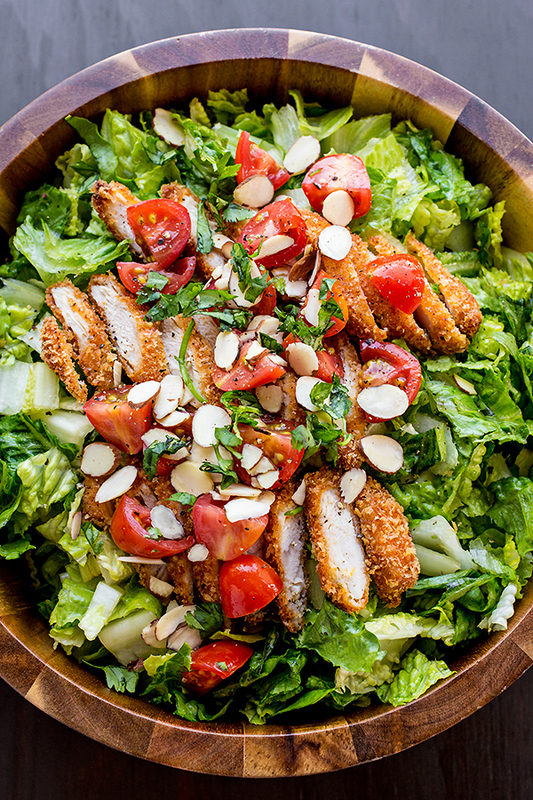 Chopped romaine, fresh sweet and juicy cherry tomatoes, and crunchy toasted almonds are all invited to the party; and with some tender chunks of crispy-coated and savory chicken, plus a generous drizzle of a honey-mustard vinaigrette, it’s an amazingly delicious, healthy, and seasonal way to get your salad fix on. So flavorful and hearty, and perfect to toss together for a light evening meal, or a lunch on-the-go. 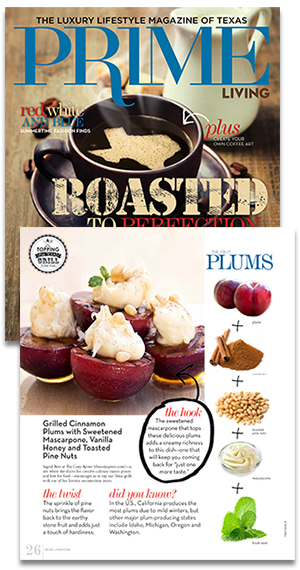 So with “salad season” pretty much here to for us to enjoy for a while, why not make it the most delicious, colorful, sweetly-zesty and crispy one that we can? -Add the chicken to a medium size bowl, and sprinkle over a couple of good pinches of salt and pepper, plus the ¼ cup of Honey Mustard Dressing; allow the chicken to marinate for at least 15 minutes, or even a couple of hours, if you have the time. -Once ready to shallow fry, combine the panko and the parmesan in a small bowl, and set aside for just a moment. 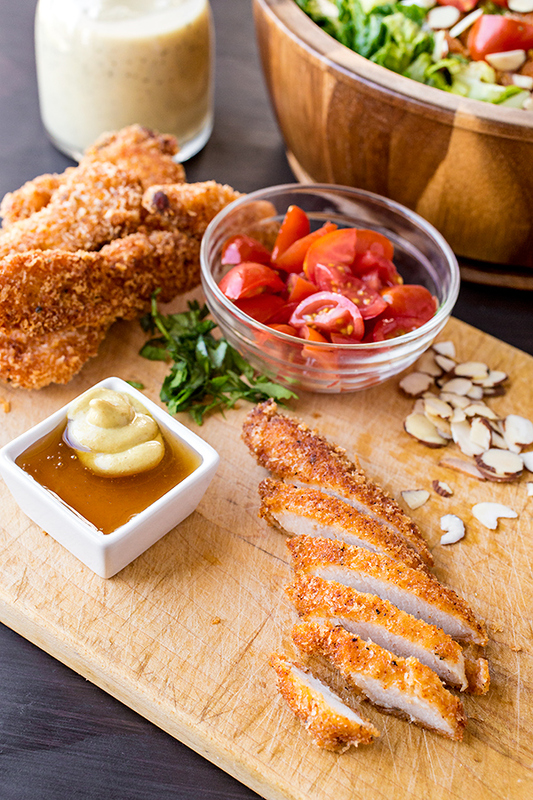 -Allow any excess marinade to drip off the chicken, then dredge each strip in the flour, then dip into the whisked eggs, and dredge in the panko and parmesan mixture; place the strips onto a clean plate or platter. -Add enough oil to a large skillet or pan to come up about 2” (enough to shallow fry), and turn the heat on medium-high; once the oil is hot, add a few of the breaded chicken strips into the oil, and fry for about 2-3 minutes per side, or until golden-brown and cooked through; repeat until all strips are fried. -Once the strips are slightly cool, chop into bite-size pieces. 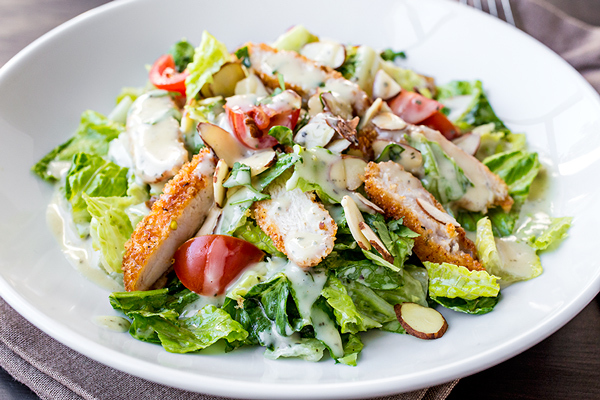 -To assemble the salad, add the chopped romaine greens, the cherry tomatoes, the sliced almonds, and the cilantro to a large bowl, and drizzle in some of the dressing; toss the coat, then divide equally among plates, and top with some of the crispy chicken, drizzled with a little extra dressing, if desired. -Add all of the ingredients up to and including the black pepper into the bowl of a food processor, and process until smooth; then, with the processor running, slowly drizzle in the olive oil until well blended and emulsified. -Serve immediately, or keep in a covered container in fridge. Oh Ingrid, I made this tonight since we finally got a nice almost summery day. Wanted to make a salad but wanted something different. Hi Dani, so glad you enjoyed the salad! I’m happy to read that you all are finally having warmer weather up there in Canada—congratulations, haha! 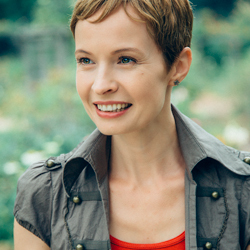 So wonderful to hear from you! 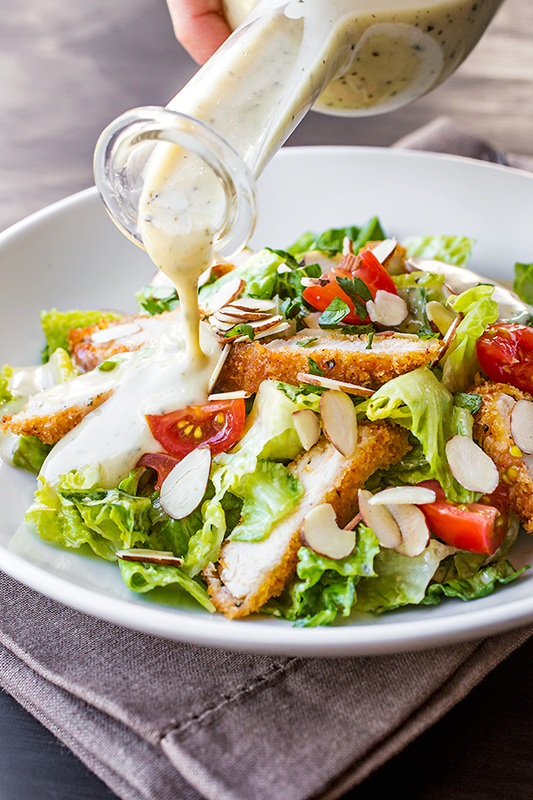 Delicious dressing! I love tarragon. I added cucumbers as well, which worked out great. 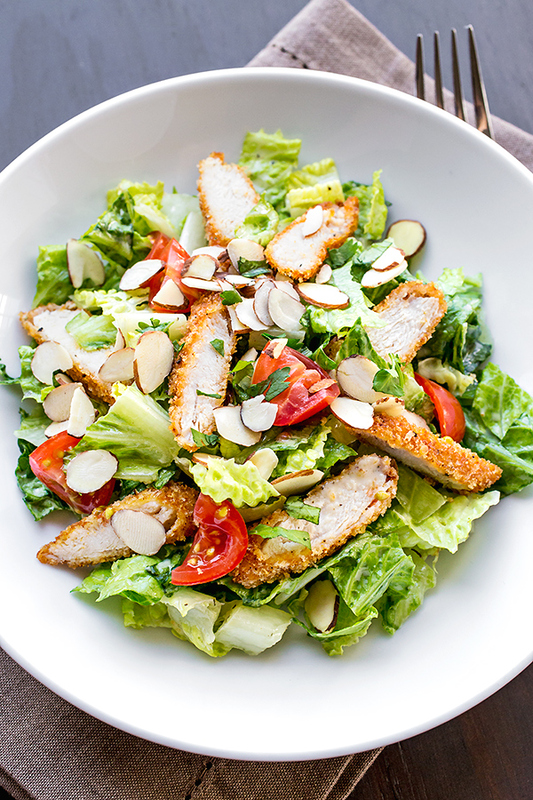 I’ll confess I took a short cut and bought batter fried chicken strips, which I cut up, but did grate a little dusting of Parmesan cheese on the salad so I think the flavors were comparable. I didn’t use cilantro. I like cilantro, but didn’t have it on hand. I think the dressing was delicious enough that cilantro was not missed. Hi Elaine, so glad you enjoyed! Thank you for taking a moment to share.